Even if you have never seen a Star Wars movie in your life (which, shame on you), you will still know and recognize an Ewok when you see it! These cute little guys hold a special place in our hearts – while they may have an agenda all their own, they are still too adorable to make anyone angry or irritated. All the technologically advanced weapons of the Galactic Empire mean nothing when you're up against a furry little guy like an Ewok. A soft little jumpsuit of Ewok fur, a hood, and the power of nature is all they need to take down an elite army. Their sheer adorable attributes also make Scout Troopers miss them on purpose, giving them the advantage in any battle. Consider that shield generator as good as gone with him on the job! This adorable toddler Star Wars costume includes everything your little one needs to get lots of hugs and trigger fond memories for everyone they meet this Halloween. The officially licensed jumpsuit is made of 100% polyester and has contrasting faux fur to mimic the look from the movies. The inseam has Velcro closure so you can quickly and easily get your little one into the costume and you can do a diaper change if needed. 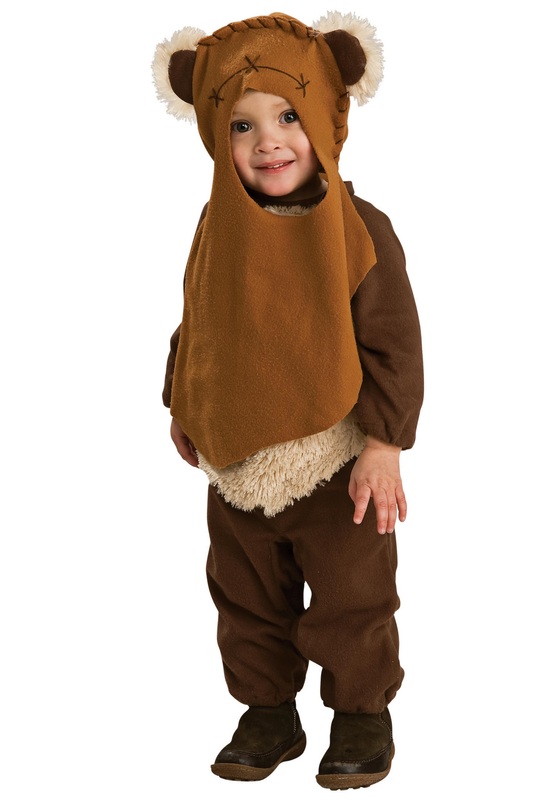 To complete the look, the costume comes with a fuzzy Ewok headpiece that has ears on top and has a bib that hangs down in the front. Whether they are flying Han Solo this Halloween or with a Star Wars group, they are sure to steal the show!